Mittens! Get Your Mittens! 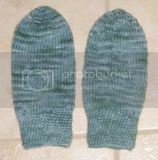 : My mittens! 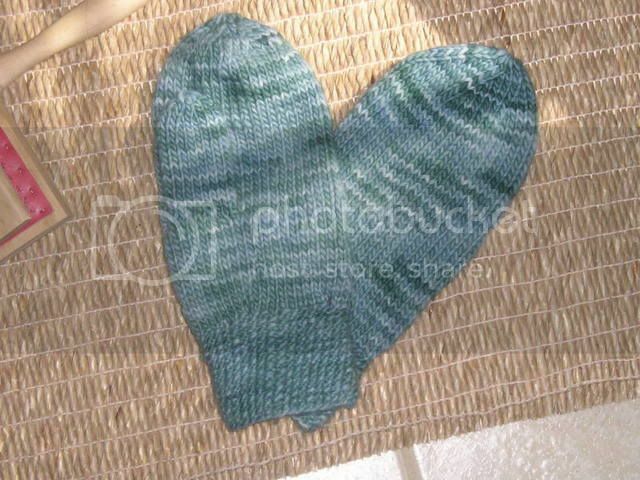 With fall just around the corner, what better time for a Mitten Swap! Mittens will be mailed out by October 31st - just in time for the first chill! 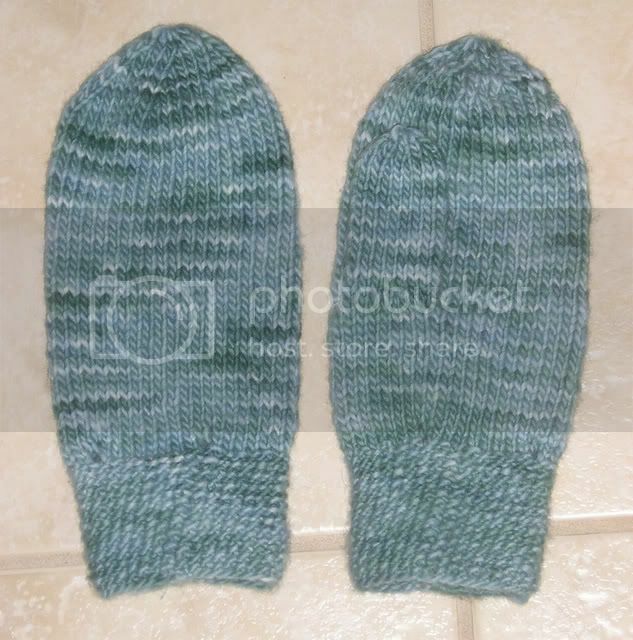 Thanks Mitten Pal and Finished! I'm sending my mittens on Monday! I hope she likes them and that they fit! They're very soft, and the people I tried the sizing out on liked them, anyway. ;) The pattern is semi mine, meaning I based it on a bunch of patterns, some of which I found on the Internet and some of which are in books I own. 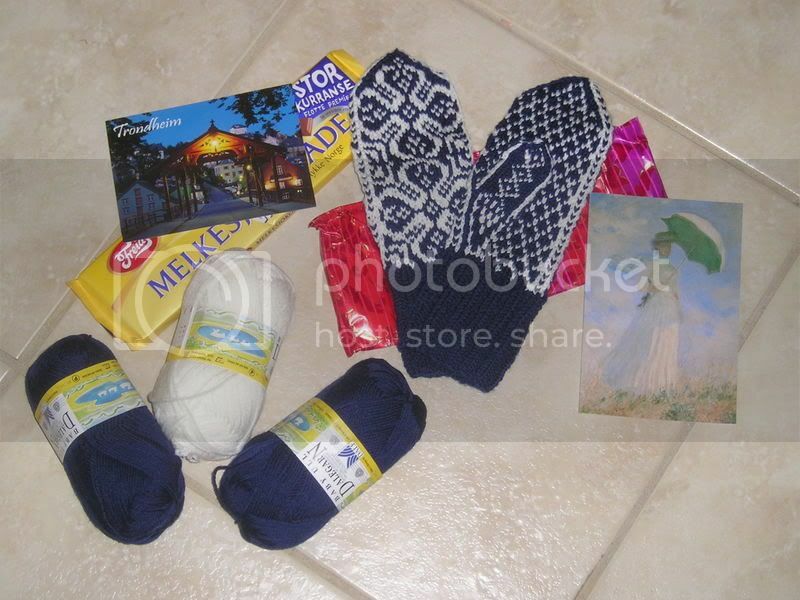 By the way, my Significant Other was exceedingly impressed by the mittens, too, and by the package. He wants to make sure I hand out Major Kudos, so consider them handed out. ;D Yay! I'm glad you like them, but I'm particularly glad they fit!! :-) I was afraid I'd sized them down too far and you'd have to be the size of a 9-year old to wear them! Once again, I am so impressed with everyone. You guys rock! What is the cuff stitch? I can't tell. It's cool. Patty, the cuff is just a simple 2x2 ribbing (on 2mm needles). Sigh. Disregard that last, Patty. I'd have deleted the comment to avoid confusion but realized I didn't have permission. I'm guessing that's a 1x1 ribbing? But it's the *yarn* I'm wondering about. C, what yarn in what colorway did you use? I totally need to post the yarn name, but I can't find the tag or remember it off the top of my head. ;) I know someone sent me some in a magic yarn ball and I was instantly smitten, and my local yarn shop has it -- yayyyyy! -- but now I can't remember what it's called. Erk!